Sure, Valentine's Day may get all the glory when it comes to declarations of love, but hot on its heels - in super fierce heels of its own - is Galentine's Day, a day to celebrate the wonderful women in your life. Since its inception in 2010, Galentine's Day has taken on a life of its own. It's inspired Memes, Galentine's Gifts, and we think a day when you get to hang with your best girlfriends is a day worth celebrating. So bring the squad together and celebrate a day of sisterhood. To help you get into the mood we've curated a playlist of unstoppable Girl Anthems. Over 2 hours of tracks guaranteed to have you all screaming "This is my JAM!!!!" over and over again. So turn the volume up, sing even louder and celebrate the great friendships that only girlfriends can bring to your life. 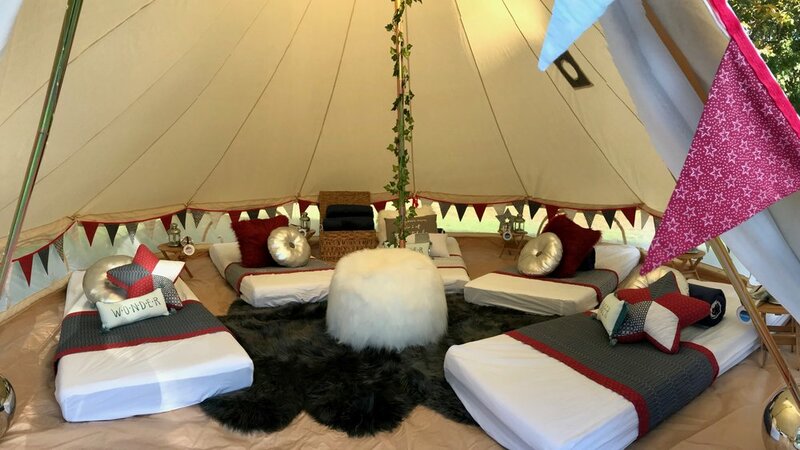 And if you really want to celebrate Galentine's Day in style, why not book a GlampOut for the amazing ladies in your life. Enjoy an unforgettable night together under our WonderDome with a SpaJama party of mani-pedis and glass after glass of bubbly. And don't worry, you don't have to celebrate your superstar sisters only on February 13th. The way we see it, every day is Galentine's Day.